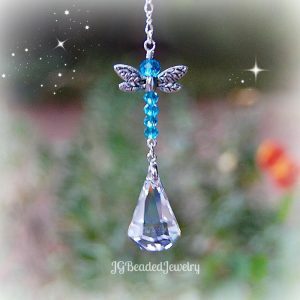 This hanging suncatcher prism is unique and designed for the rearview mirror, a window at home, the office, nursery or wherever you choose! It is handcrafted with care using a quality 30mm faceted crystal ball that is wire wrapped by hand for quality, strength and longevity! 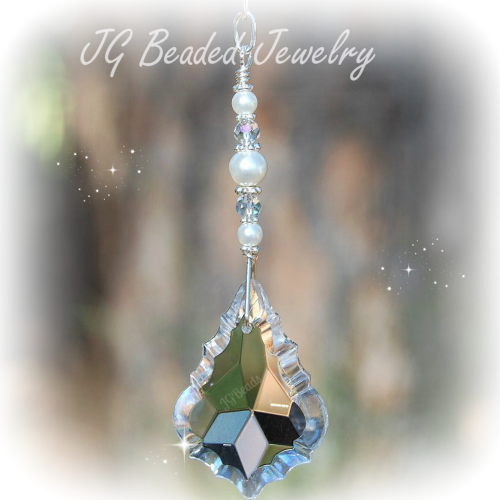 It is embellished with gorgeous iridescent Swarovski crystals and faceted glass beads along with fancy silver metal beads. 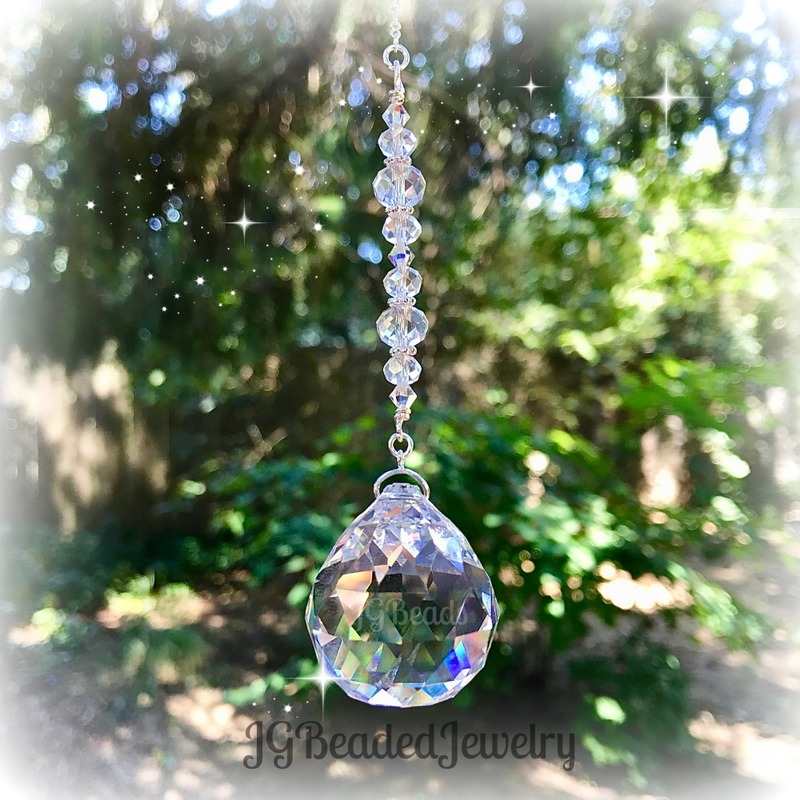 The suncatcher is available in a Clear or Clear AB prism (Clear AB has a partial aurora borealis finish which enhances the rainbow effect when in direct sunlight).